Our fridges are smart – telling us when we’re low on milk or broccoli, watches are smart – tracking our steps and calories and monitoring our email, even entire homes are smart – heating, cooling, lighting, securing and entertaining us based on our daily rhythms. It should come as no surprise, then, that the same developments are also affecting the way our day-to-day products are designed, manufactured and transported. Technology is creeping into the entire supply chain, with impacts from sourcing down through to logistics. 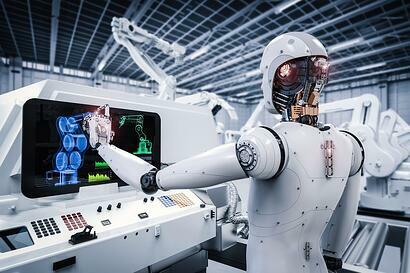 Smart manufacturing is a souped-up version of ages-old manufacturing (creating products out of raw materials) that employs computer control and advanced adaptability (think artificial intelligence). Smart manufacturing takes advantage of modern-day information and manufacturing technologies to enable adaptability and flexibility in all the processes involved in making and transporting goods in a global market. Not surprisingly, smart manufacturing consultants have popped up to help companies learn about and adapt to these new technologies. They are encouraging companies to start planning and investing in projects and initiatives now that get ready for their eventual evolution into a digitally connected “smart” enterprise. How close is this to happening? It depends who you ask. On an individual scale, many companies and factories are already employing smart processes in various parts of their operations. But the dream of “cradle to grave” product tracking, complete with intelligent oversights and real-time adaptability is not quite here yet. Numerous challenges will need to be overcome before it’s truly upon us. Training, hardware development, and, not least of all, human buy-in – both conceptual and financial – have a ways to go yet. Smart manufacturing is coming; it’s just a question of when. As always, our product leaders have their ears to the ground and keep current on industry developments. Contact us today to find out how our experienced professionals can help make sure your business is running as smoothly and efficiently as possible in today’s fast-paced global marketplace. Automation World article: What is Smart About Smart Manufacturing? Industry Week article: What is Smart Manufacturing?